The Russians beat us with the first human in space. Yuri Gagarin was launched into space and orbited the Earth long before anyone landed on the Moon. Technically, the Russians won the space race, and we were pissed off enough about it to go to the Moon and back a few times just to say we beat them to it. Who gives a damn what happens with the Moon now? No one is better off for the millions of dollars spent in the Space Race. Russians, Chinese, US citizens, Europeans, are all living and dying homeless because our governments would rather piss away money outdoing each other. What value is it to a homeless individual to know his or her country sent people to the Moon and back when they are worried about where they are going to sleep each night or where their next meal is coming from? Now people like Stephen Hawking and Elon Musk say our survival as a species depends on our ability to colonize other planets, while doing nothing to prevent the very real suffering our fellow humans experience trying to survive on a daily basis. My opinion is that until we do our best to help the least among us, we can spread ourselves throughout the Milky Way and it won't mean a damn thing. It's still better than this! The Curiosity rover on Mars was designed with the software I work on, so I had a bit part in that. .....and to think that my very first job offer was as a contractor affiliated with NASA in Cleveland. The building I would have worked in was torn down to make room for Hopkins Airport - Cleveland's biggest. 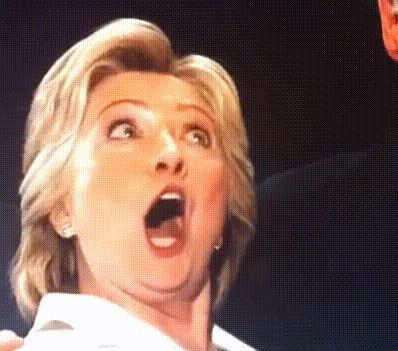 Wasting money on the Space Race is better than...a face Hillary Clinton made? I don't get it. Or if I do, i really disagree. All times are GMT -5. The time now is 9:30am.